Many of my customers ask, “What is Variable Speed Technology?” The major difference between a standard fan coil and a Variable Speed one is that the fan speed fluctuates from low to high cooling the coil down significantly and controlling the air temperature as it flows through it. A standard Fan coil motor runs on high 100% of the time, while a variable speed fan motor may start in low and work up to high speed if the demand calls for it. When the variable speed fan motor runs in low speed it causes the coil to get extremely cold, therefore pulling more moisture from the home. A great analogy would be to compare a glass of ice tea to a glass of room temperature water. The condensation builds on the ice tea. This same concept applies to a variable speed air handler. In Florida, we experience high humidity levels most of the year. Upgrading to a Variable Speed Air Handler will allow you to feel more comfortable in your home with higher temperatures. Most people understand it’s not the heat that feels suppressing, it’s the humidity. The amount of moisture in the air amplifies the heat. When upgrading to a Variable Speed Air Handler, you should also consider a Thermidistat. The Thermidistat allows you to control both the temperature and humidity levels in your home. The benefits to Variable Speed Technology are that they are designed to remove more humidity out of your home, almost 30% more than a standard coil. 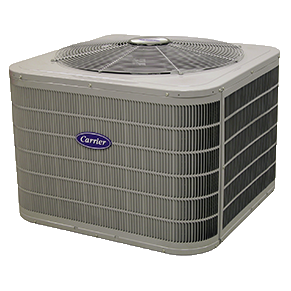 Variable Speed Technology operates at a lower decibel and is much quieter than a standard unit. This is a great benefit if the system is inside a closet inside the home. Additionally, homeowners with Variable Speed Technology have admitted that they are saving money on their utility bills because they have raised the temperature in their home, but still feel comfortable because the humidity level is lower.